If your property is flooded in the middle of the night due to a pipe burst, you can call the commercial property damage Reno unit at 911 Restoration Reno and they will be at your door step within 45 minutes to begin restorative procedures. We keep our office open around the clock, so we are available 24/7/365. Then our commercial property damage Reno pros can assist you even during the most inopportune times, such as holidays. 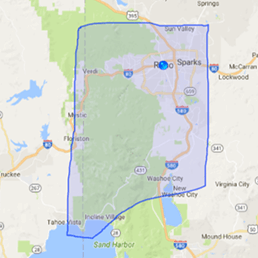 In order to determine exactly what needs to be done to the property, 911 Restoration of Reno techs conduct free property inspections for all property owners the moment we arrive on the scene. 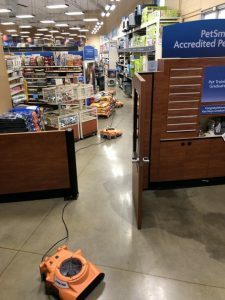 Keeping you informed every step of the way is out duty, so call the licensed, bonded and insured commercial water damage experts in Reno today! Many people are unaware that where there is commercial property damage, there is usually mold, especially if the water has been left sitting for an extended period of time. When mold spores are inhaled, our commercial property damage Reno pros know that they can cause allergy-like symptoms and possible respiratory issues. Our fast and efficient free visual mold inspections allow our commercial property damage Reno agents to eradicate all signs of fungi from the premises, which is important in maintaining the health of your property and every one in it. 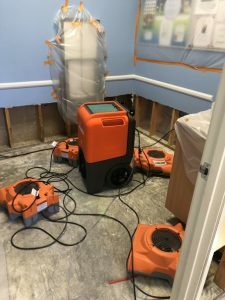 Our water cleanup in Reno professionals also address all the water damage in the building, which not only prevents structural damage, but prevents mold infestations from occurring in the future. If you noticed that you have damp areas of the property that may potentially be causing mold growth, call our commercial property damage Reno techs, so we can begin removal procedures immediately. 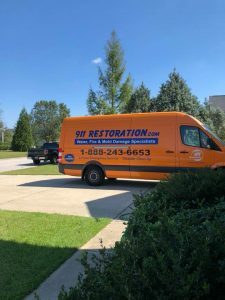 911 Restoration of Reno water damage professionals will conduct top notch commercial property damage repair and restoration on your property. The thorough work our licensed Reno technicians provides you with will ensure that future instances of mold infestation are prevented by getting rid of all excess moisture. On top of implementing efficient water disaster cleanup, our commercial property damage Reno staff also guarantees around the clock customer service. All of our years of experience in the field have helped us better understand our customers, making our commercial property damage Reno technicians completely in tune with your needs when we are on the job. Your emotional well-being is incredibly important to our commercial property damage Reno agents, and our commercial property damage Reno specialists want to prove that we will always put your first, no matter what else is going on with your house. Call our commercial property damage Reno pros at 911 Restoration of Reno today and we will show you just how dedicated we are to getting your life back on track. Get the Fresh Start that you deserve!